COUNT ON PROVEN EXCELLENCE. COUNT ON SUMITOMO. 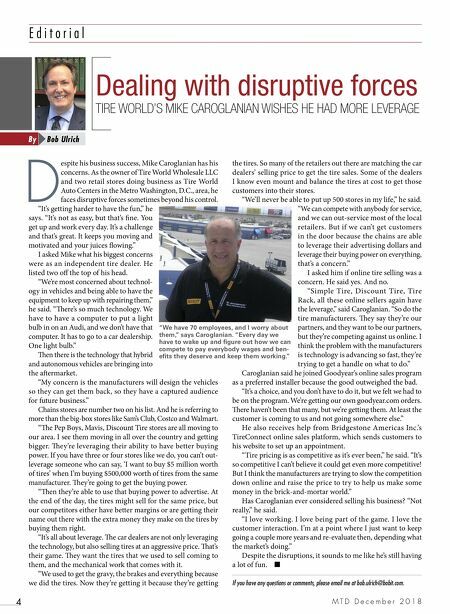 Becoming an outstanding commercial tire brand requires excellence in all areas, not just one. Sumitomo's product quality, application coverage and fi ll rate were ranked in the Top 3 by nearly 600 dealers in the last 3 Tire Review annual surveys. 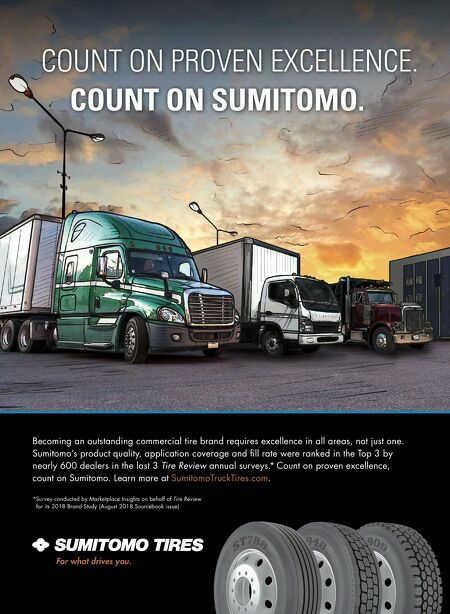 * Count on proven excellence, count on Sumitomo. Learn more at SumitomoTruckTires.com . For what drives you. *Survey conducted by Marketplace Insights on behalf of Tire Review for its 2018 Brand Study (August 2018 Sourcebook issue).